Finally, the WSOP 2016 is also available in German TV: Since December 2016, Sport1 has been broadcasting the poker world-championship. And its main sponsor and partner 888poker offers a very special promotion for its costumers in Germany, which enables you to already get your ticket for the WSOP 2017. Find out more about the WSOP Sport1 show and the 888poker WSOP promotion in our news. Under the slogan “WSOP 2017 – the ultimate Las Vegas adventure” 888poker offers daily freerolls until 18 February, 2017. Those who win the three-staged tournament series win an all-inclusive trip to one of the WSOP 2017’s bracelet-events, including a ticket to the 888 side event tournament. The best 10 percent of the players qualify for the WSOP 2017 weekend tournament, taking place until 19 February, 2017. The 30 best players then qualify for the WSOP 2017 ultimate package final tournament on 26 February, 2017. The winner is send to the WSOP in Las Vegas and also gets a ticket to the 888poker WSOP side event, in which he or she performs as 888 ambassador and will be able to win a lot of money. Taking part is easy. 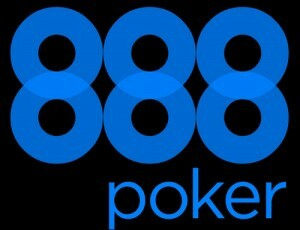 If you haven’t got an account at 888poker yet, download the software here. Depending on your device you’re automatically forwarded to the Apple Appstore or the download section for the Android apk. or PC and Mac software. 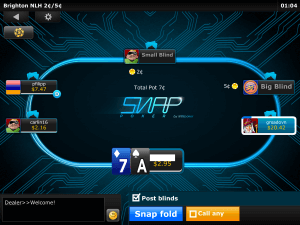 All you have to do is register for one of the freerolls from within the 888poker software or 888poker App. You can take part in the freerolls every day – however you’ll obviously only win one seat in the final. Click here to get more information about the 888poker WSOP 2017 promotion and the detailed conditions for participation.. If you’d like to pass the WSOP 2016 in revue the Sport1 WSOP show on German TV is right for you. It’s a recording of the best hands in a one hour broadcast. The Sport1 WSOP TV show is brought to you by 888poker – the official sponsor of the WSOP 2016. Whether 888poker offers special WSOP satellites for the 2017 main event again hasn’t been announced yet. We’ll keep you posted on that. You’re not from Germany? 888poker has a promotion that is available for people from allover the world. New players get an $88 bonus and up to $700 for their first deposit.